It's time to wave your magic wand and cast a spell that will grant your money winning wishes true. 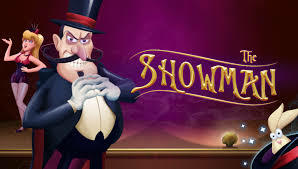 The Showman is a magical 5 reel, 15 payline slot based on the recently popular film, The Greatest Showman. If you enjoy a bit of magic then you will adore this slot. It's filled to the brim with magic, surprises and a whole lot of fun. In this slot, you'll become one of the greatest magicians in the world. You'll have the delight of participating in mystical features from the greatest show including magical reappearing reels, bonus spins, and extra wilds. Put on your magician's hat and get ready to create some magic, or you can explore more of what Easy can offer if you click here. Mutuel Play is relatively new to the iGaming industry and have been creating games for just over 2 years. Their number one aim is to create slots that stand out from the rest, that game players can play with ease. They stand out by creating memorable and unique themed slots with beautiful animations and entertaining features. While their game collection isn't huge at the moment, there are a handful of exciting games for you to enjoy. Some of their latest slots include Lumberjack Cash, Juicy Fruity and Splatter Cake. If you enjoyed The Showman, why not take a look at these titles? It's time to get the greatest show on the road! The Showman is a 5 reel, 15 payline slot developed by Mutuel Play. The slot is based on the award-winning movie, The Greatest Showman. It has a magic theme filled with lots of magicians and exciting tricks. The 3D animations are beautifully done with a whimsical feel. Behind the reels, you'll find the stage where the greatest showman performs. The symbols include playing card suit symbols, pretty red roses, and a wand, a guillotine, handcuffs and a padlock, a pack of cards and a magicians hat with a startled rabbit peeking through the top. 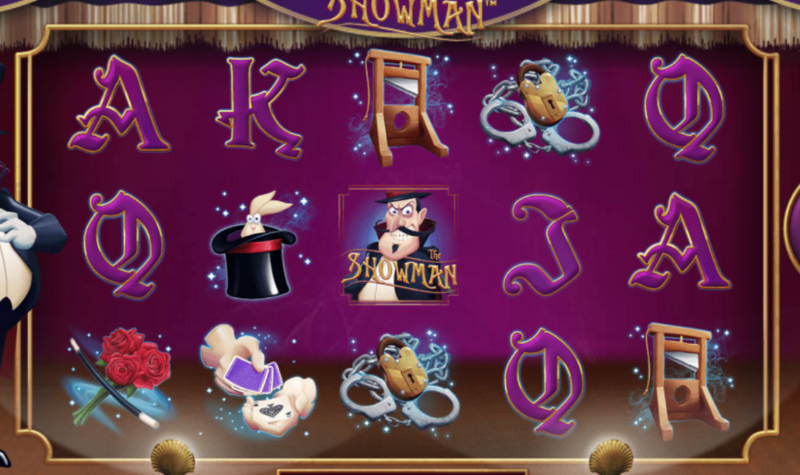 The Wild Symbol - The wild symbol in this slot is the showman. The showman substitutes all other symbols except the scatter to form winning combinations. Bonus Spins - Collect 20 free spins with a 2x, 3x, 4, or 5x multiplier by landing at least 2 bonus symbols on reels 1, 2 or 3. If you land 3 or more scatters during the bonus spins feature, you'll receive an extra bonus win. Random Wilds - This feature is triggered randomly during gameplay. The magician will wave 25 extra wilds onto the stage and different prizes will be awarded depending on where they all land. Magical Reappearing Reels - Just like the random wilds feature, the magical reappearing reels is triggered randomly throughout the game. The showman will pick a particular symbol and copy that on to all reels. The Showman is filled with so much joy and magic, here's hoping some of the magic dust spreads in your direction! The theme is fantastic and very on trend, the graphics are beautifully done and the magical soundtrack ties it all nicely together. If you like this developer, why not come and learn more?